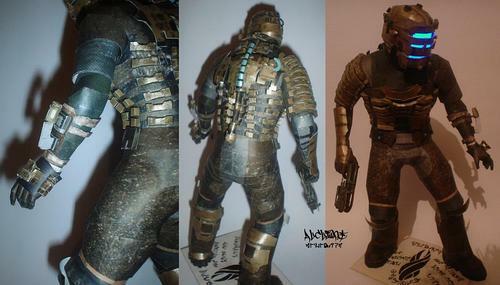 You have owned Isaac Clarke action figure for a long time? 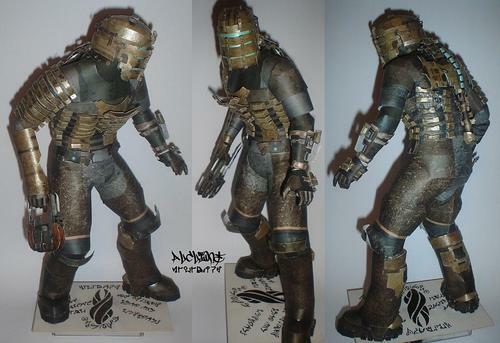 But if you’re a big fan of Dead Space video game series, you should never miss the Dead Space paper craft. This is the main character of Dead Space: Isaac Clarke, a systems engineer working for the Concordance Extraction Corporation to handle the problems of the USG Ishimura starship. As we can see from the image, the papercraft features almost all accurate details and colors, and comes with his iconic weapon – 211-V Plasma Cutter. Most fortunately, the maker has posted the template of the paper craft, if you also want to put the legendary hero on your desk, jump to his blog – ALCLIONE for more details.